Set a goal of eliminating half the items in every room, starting with personal effects like photos and clothing. 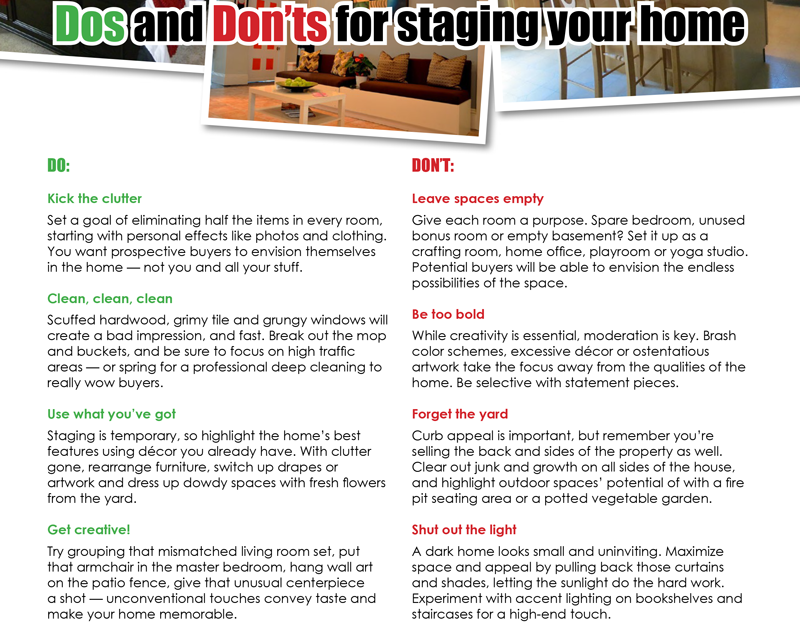 You want prospective buyers to envision themselves in the home — not you and all your stuff. Scuffed hardwood, grimy tile and grungy windows will create a bad impression, and fast. Break out the mop and buckets, and be sure to focus on high traffic areas — or spring for a professional deep cleaning to really wow buyers. 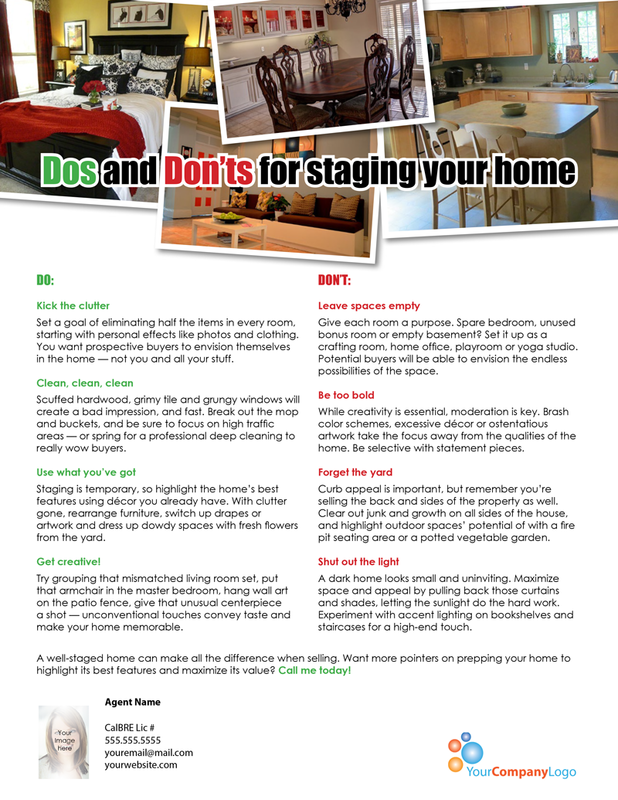 Staging is temporary, so highlight the home’s best features using décor you already have. With clutter gone, rearrange furniture, switch up drapes or artwork and dress up dowdy spaces with fresh flowers from the yard. Try grouping that mismatched living room set, put that armchair in the master bedroom, hang wall art on the patio fence, give that unusual centerpiece a shot — unconventional touches convey taste and make your home memorable. Give each room a purpose. Spare bedroom, unused bonus room or empty basement? Set it up as a crafting room, home office, playroom or yoga studio. Potential buyers will be able to envision the endless possibilities of the space. While creativity is essential, moderation is key. 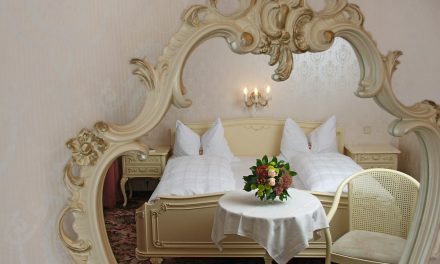 Brash color schemes, excessive décor or ostentatious artwork take the focus away from the qualities of the home. Be selective with statement pieces. 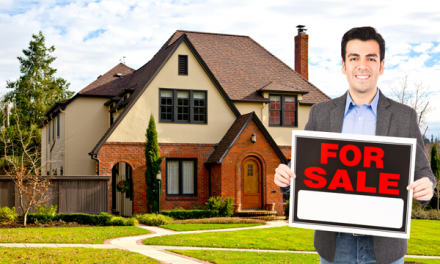 Curb appeal is important, but remember you’re selling the back and sides of the property as well. Clear out junk and growth on all sides of the house, and highlight outdoor spaces’ potential of with a fire pit seating area or a potted vegetable garden. A dark home looks small and uninviting. Maximize space and appeal by pulling back those curtains and shades, letting the sunlight do the hard work. Experiment with accent lighting on bookshelves and staircases for a high-end touch.